Speed date at a slow pace and enjoy a sumptuous western set dinner in a restaurant with good ambience, exclusivity and its popular dining menu. It’s the perfect setting for a private and discerning social gatherings. Mingle with like-minded and interesting new friends and have a jolly good time. 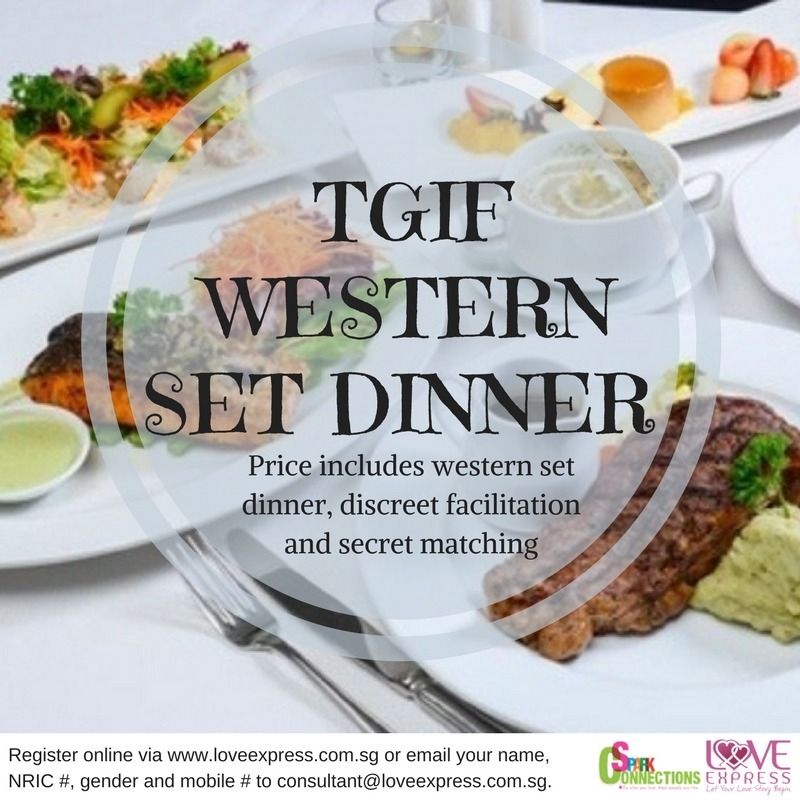 Price includes western set dinner. – Event hosted and facilitated by experienced accredited dating practitioners. For non-members, please sign up for free membership account, before registering for the event.